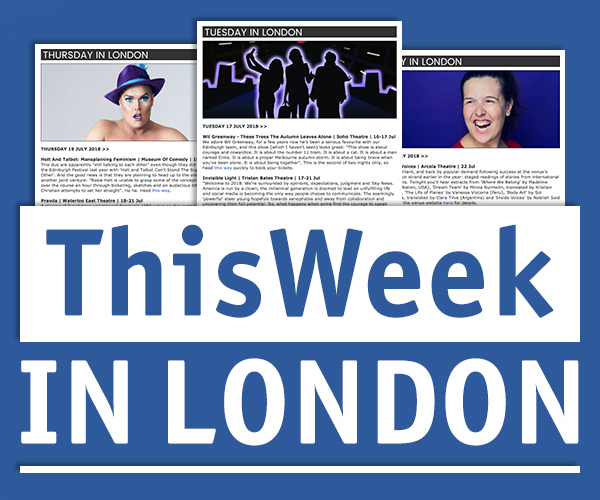 THISWEEK LONDON is an online guide to culture in the capital, championing the best in theatre, comedy, dance, art, music, musicals, spoken word and film, with a particular focus on new and alternative talent. We also regularly interview our favourite writers, directors and performers as they stage shows in London. Look out for our daily Three To See recommendations and regular Caro Meets interviews online and in the TW Weekly email. THREEWEEKS EDINBURGH is the longest established bespoke magazine at the Edinburgh Festival. We’ve been covering the world’s biggest cultural event since 1996, each year publishing reviews, interviews and Three To See recommendations from all of Edinburgh’s summer festivals, with a particular focus on new and alternative talent. Look out for our TW Magazine available all over Edinburgh and the TW Daily email in the run up to and during the festival, or check out all our coverage online. TW:DIY is a new educational programme from the TW team that will be offering tips and advice to future talent in theatre, comedy and culture at large. Look out for features going live over the summer offering tips galore about performing and working at the Edinburgh Festival. Hello there! Welcome to TW:CULTURE - here to champion the best in culture. 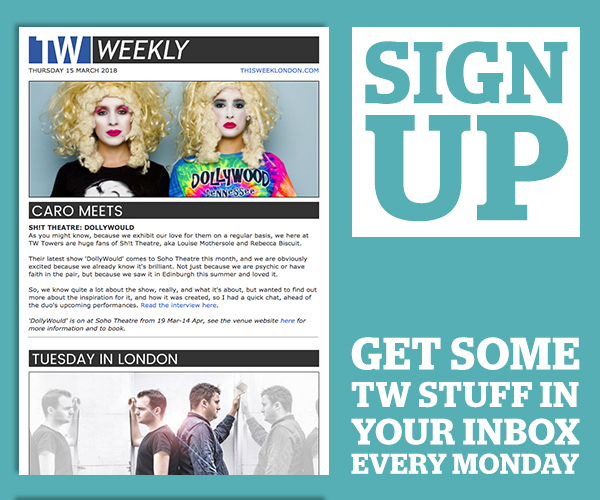 To stay in touch with all things TW sign up to the free TW email bulletins - CLICK HERE to do that now.